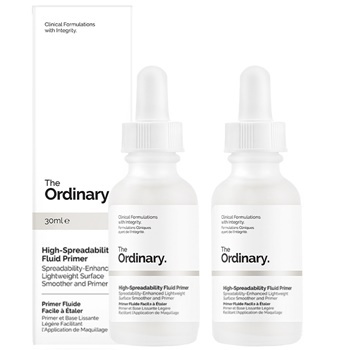 The Ordinary DOUBLE VALUE PACK 2 X High-Spreadability Fluid Primer - 30ml Bottles. This new generation of primer is a lightweight serum-like formula that increases the spreadability of subsequent complexion makeup to help avoid the unnatural and uneven accumulation of pigments especially around the eyes and on dry skin. 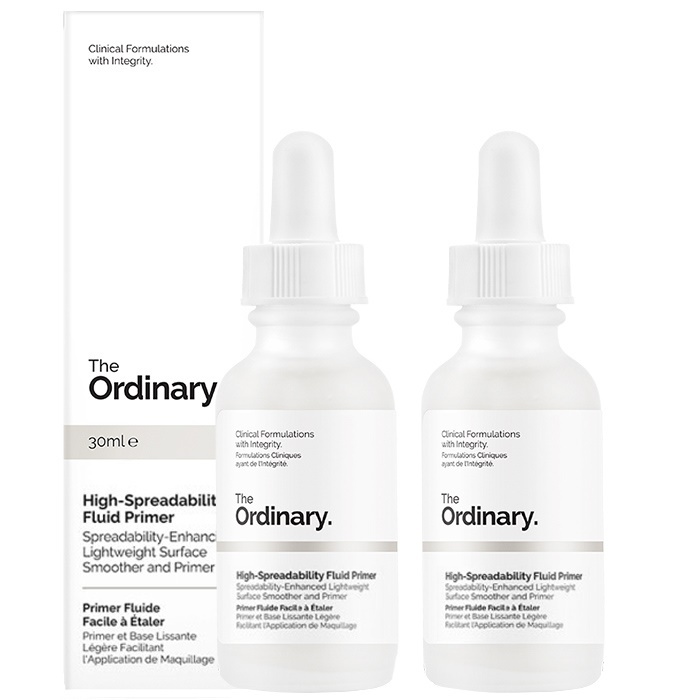 The formula also acts as a light, non-oily surface hydrator for a natural dewy look. Directions Use as the last step in skincare regimen as a makeup primer.